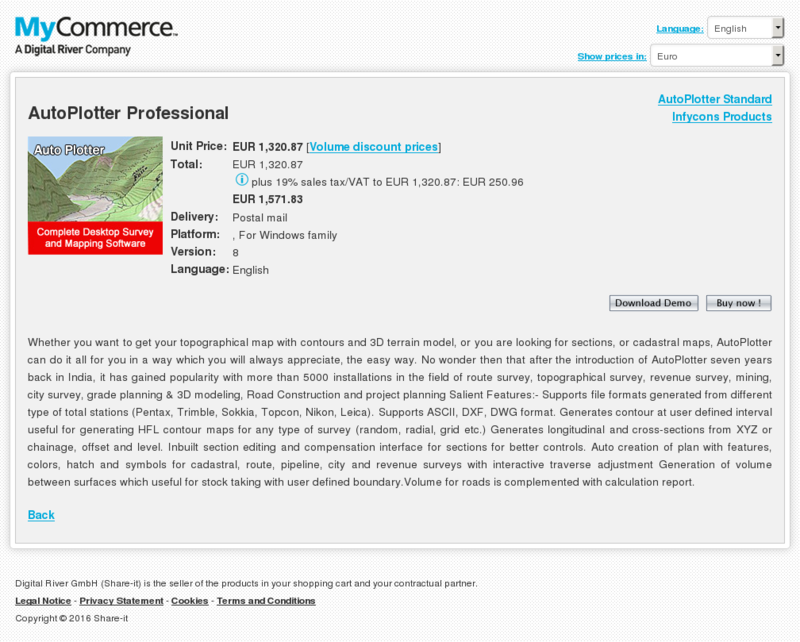 Whether you want to get your topographical map with contours and 3D terrain model, or you are looking for sections, or cadastral maps, AutoPlotter can do it all for you in a way which you will always appreciate, the easy way. No wonder then that after the introduction of AutoPlotter seven years back in India, it has gained popularity with more than 5000 installations in the field of route survey, topographical survey, revenue survey, mining, city survey, grade planning & 3D modeling, Road Construction and project planning Salient Features:- Supports file formats generated from different type of total stations (Pentax, Trimble, Sokkia, Topcon, Nikon, Leica). Supports ASCII, DXF, DWG format. Generates contour at user defined interval useful for generating HFL contour maps for any type of survey (random, radial, grid etc.) Generates longitudinal and cross-sections from XYZ or chainage, offset and level. Inbuilt section editing and compensation interface for sections for better controls. Auto creation of plan with features, colors, hatch and symbols for cadastral, route, pipeline, city and revenue surveys with interactive traverse adjustment Generation of volume between surfaces which useful for stock taking with user defined boundary.Volume for roads is complemented with calculation report.